This post isn’t really a Techy Talk nor is it a You Wrote A Book, Now What post. Yet, it is an important post. As you may have discerned, I like good deals. I seem to find valuable things for pennies on the dollar. I like to share those things as well. https://marshalleditingandconsulting.com/ if you want an awesome live human to help polish your works. Tiya is an objective editor and can do anything from helping you to fix a resume to editing your latest novel. Seriously, I didn’t even know there was a difference between a line editor, proof reader, or a developmental editor because she’s always given me all of that kind of feedback for her one price. I’ve never had to hire different types of editors when I use her! What you probably don’t know though is I go over my books again and again. I write my book, I send it to Tiya, then I get it back from her. I review her edits and her notes and combine that manuscript into a master copy. Then I let the story sit for a little bit. 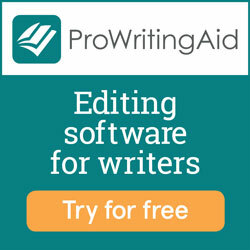 Next, I use ProWritingAid to go through each chapter and see if there is anything I can improve upon. With the customizable reports, I can look for overused words that I know I overuse. (I tend to write “a bit” a whole bunch!) I can weed out any passive sentences and 97% of the time the program shows me how to re-write the sentence in active voice. It will find your -ING and -LY words. Once I have my editor’s edits and ProWritingAid’s edits added to the master manuscript, I use Word to read the book aloud. This is an excruciating process for me b/c at this point I’ve read the book about seven thousand times! However, you will be surprised how many weird things you can catch when Word reads aloud to you. After all these edits, I then think about any little plot hole that might bother me. (I’m not a normal person when it comes to plot holes, I find holes that others wouldn’t worry about.) Once all these steps are completed, I find a beta reader or two to see what they think. I read the beta’s feedback and then I move into the ARC phase. FYI: By the time you get any of the Monster Hunter Tales books, I have nitpicked it to death! The point of this post is to tell you about this great product. It’s better than the competition (I tried THAT one too) and it has really grown over the years. This is something I picked up in 2014 and really started putting through its paces in 2018. What’s even better? They have a free level. Try it out! I bought a lifetime subscription and feel this program’s features are well worth the price of admission! PS: If you get a subscription, they have a really cool plug in for your web browser that keeps typos out of FB, your web posts, your email…anything that uses the web browser can be scanned. Say good-bye to typos!